A New England born tradition as the story goes: Many years ago there was a couple named Henry and Anna who lived nestled deep in the New England woods. 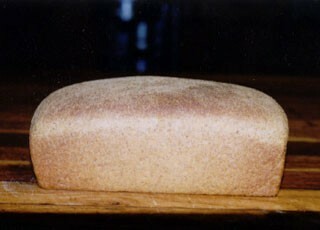 As the husband left early one morning to go fishing he requested a loaf of bread to be made for his return. But Anna got busy and as you know one thing led to another and the bread was not made. Henry returned home to find no bread waiting for him as he had instructed. His reply - Anna damn her. From that day on when this crunchy molasses and cornmeal base bread was baking you could still hear the words from Henry's mouth - "Oh, Anna damn her."